Dexim Visible Green - Illuminated iPhone Charger and Sync Cable. 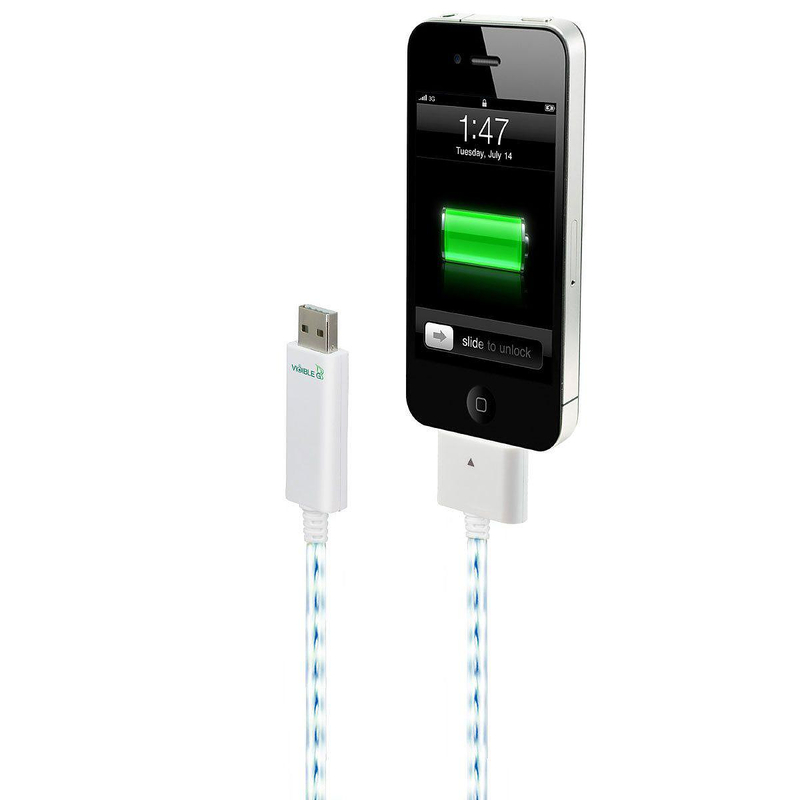 HomeBlogHome DecorDexim Visible Green – Illuminated iPhone Charger and Sync Cable. The Dexim Visible Green charger and sync cable is an efficient and stylish way to charge and sync your Apple mobile devices. The unique glow color adds flair to your technology while helping you save time and energy. 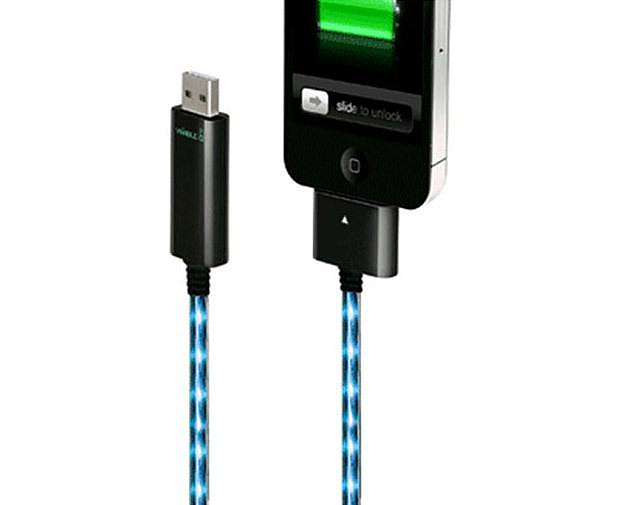 At first the dexim iPhone charger looks like a normal illuminated cable, however thanks to its Electroluminescent light (EL) technology charger cord illuminates without consuming additional electricity. The charger helps you save energy and makes reducing stand-by power a breeze: its automatic shut-off feature kicks in whenever your device is fully charged. 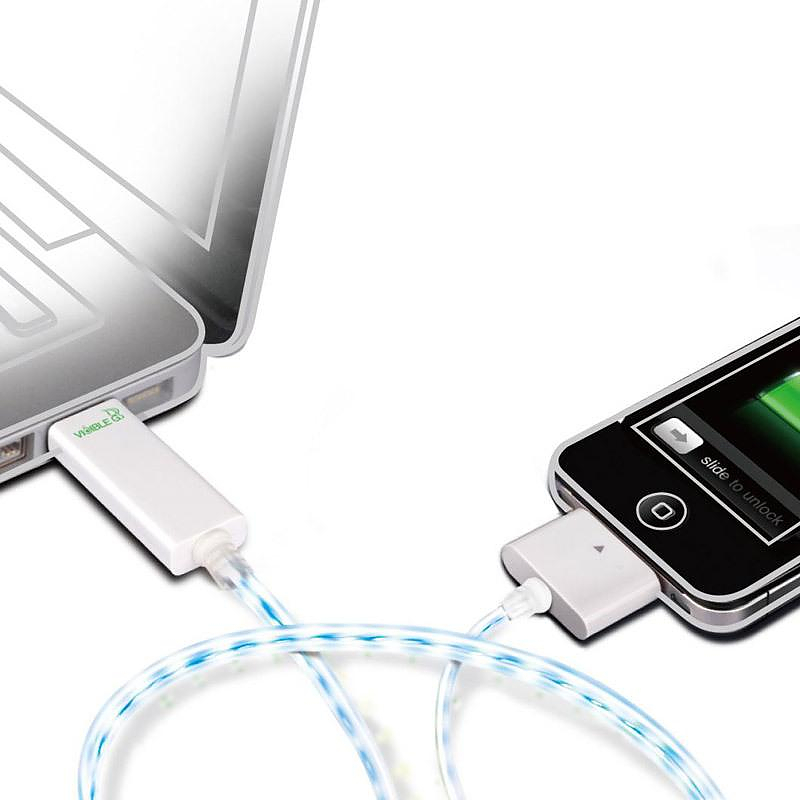 Also, the charger’s cord flowing EL lights change their pace according to the strength of your charge. At full battery capacity, the glowing stops to let you know your device is ready for use. 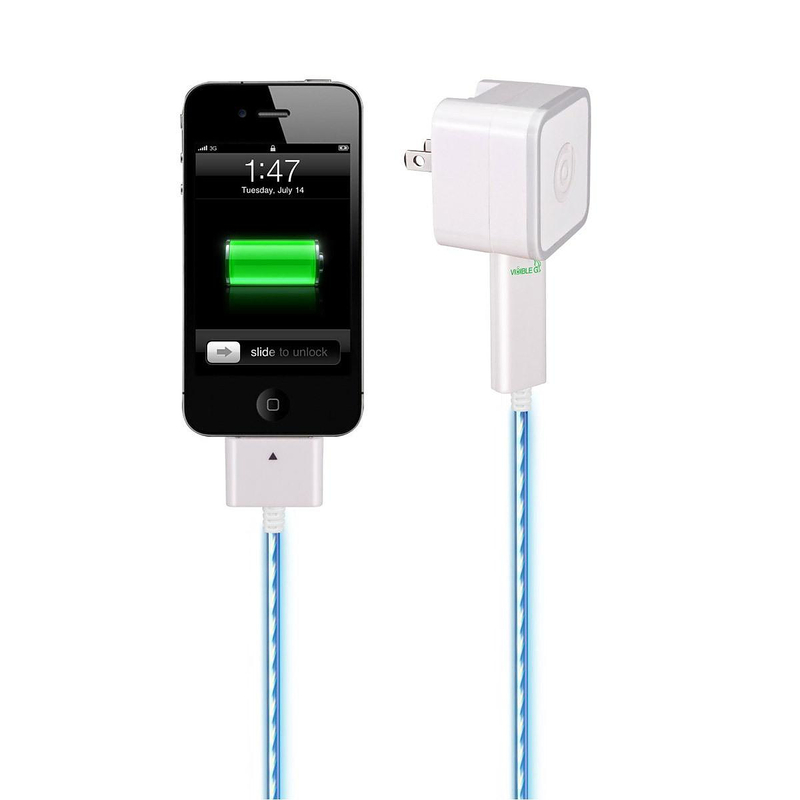 The Dexim Visible Green iPhone charger is at straightforward and effective design. 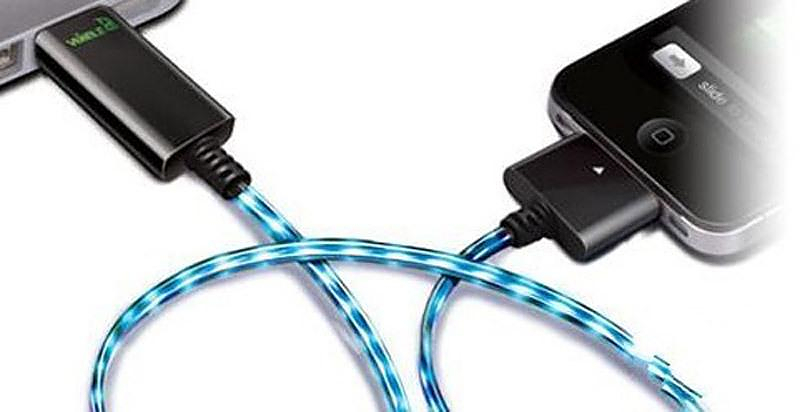 You get a stylish AC charger together with the special glowing sync cable. Essentially the effect is that you are seeing the electricity “flow” into your iOS device. When the battery level is quite low electricity flows faster, and as the battery gets full the flow slows to a trickle and ultimately stops altogether when charging is complete and the battery is full. 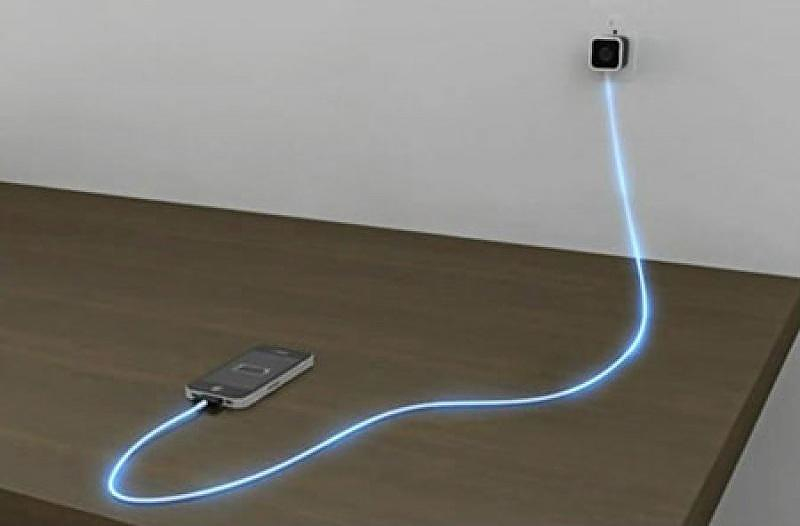 The ability to have an immediate visual indication of the charge status of your device plus the ability to locate your device in low light environments is interesting, but at the end of the day it’s the style an WOW factor that make it one really cool iPhone charger. 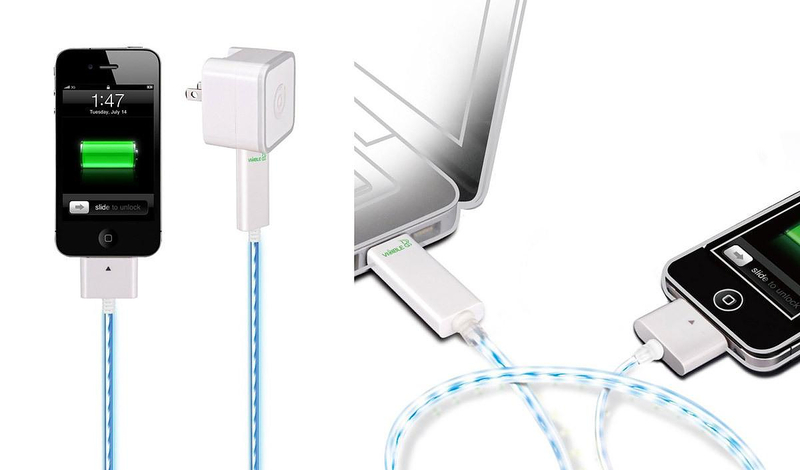 It is compatible with just about every iOs device that uses a standard 30pin connector, such as iPod, iPod Nano, iPad, iPad 2, iPhone 3G, iPhone 3GS, iPhone 4, iPhone 4 and iPod Touch. More info at: Dexim.